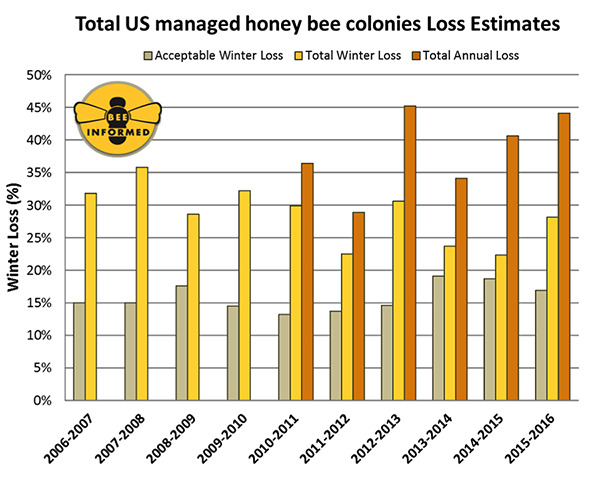 A recent study, published online in the journal Apidologie on April 20, 2016, provided the first multi-year assessment of honey bee parasites and disease in both commercial and backyard beekeeping operations. Among other findings (summarized in a recent University of Maryland press release), that study found that the varroa mite is far more abundant than previous estimates indicate and is closely linked to several damaging viruses. Varroa is a particularly challenging problem among backyard beekeepers (defined as those who manage fewer than 50 colonies).